Various types of well logs have emerged over time due to technological improvements. Different tools are used to measure and determine subsurface characteristics. Resistivity Logs measure electrical flow through rocks and sediments. This log determines the types of fluid present. Formation waters are salty and are good electrical conductors, whereas oil and fresh water are poor electrical conductors. Induction Logs assess the interaction of magnetic force and electric flow to determine resistivity. They are used for oil-based drilling or air drilling wells, which are non-electrically conductive, unlike mud or water wells. Spontaneous Potential (SP) Logs calculate electrical currents generated between drilling fluids and formation water held in the pore spaces to show the permeability of rocks in a prospective oil well. SP logs are referred to many times to determine whether a rock formation is a shale or a sandstone. Mud Logs refer to the drilling of fluid or mud to provide buoyancy to the drill and to remove cuttings from the well. Together with the driller’s log, evaluation log, cuttings log, and logs of nearby wells, information from mud logs is used to determine the commercial viability of an oil well. To retrieve data before, well logging tools were used to be lowered into the well for regular intervals. Directional drilling have pushed scientists to develop non-vertical methods of well logging. With Logging While Drilling and Measurement While Drilling (MWD), logging tools can now be placed at the end of the drilling column so drillers can determine the prospect of an oil and gas well. 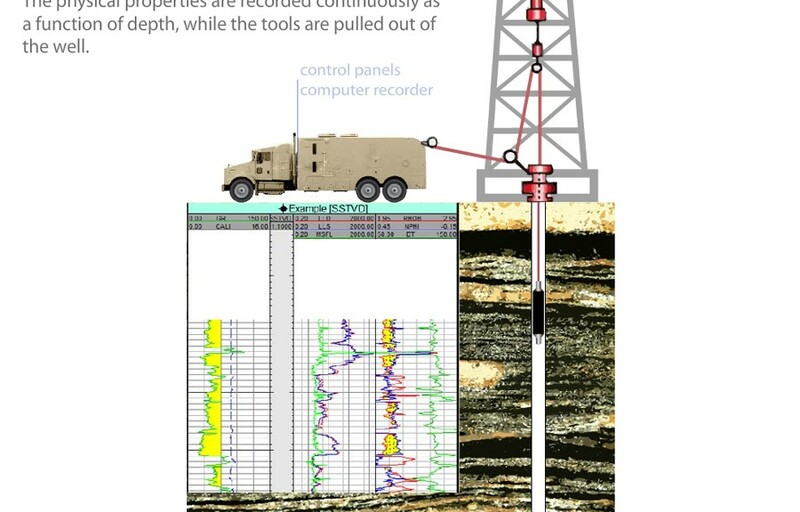 As technology makes more headway at this present time, well logs are now computer generated to interpret gathered information immediately while drilling. These logs are sophisticated that not only they can record measurements, but they can also notify drillers of a potential hazard and can transmit data to offsite servers through satellite. Because logging involves tools that are radioactive, electric, and/or sonic in nature, a driller may be at risk of radiation exposure. At best, drillers should wear appropriate personnel protective equipment (PPE) when using the tools. Authorized and qualified personnel should only be the ones allowed to handle logging tools, while other non-essential workers should be kept away from the rig floor and marked-off sites where radiation hazards may be present. Damage to any radioactive logging tools should be reported immediately. Other drillers can also get injured by unexpected pressure release. To minimize this occurrence, it is highly advisable to check for the presence of trapped pressure before the tool housing is opened.